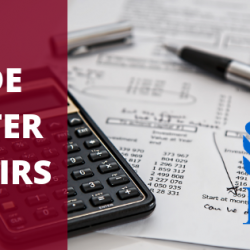 Barter income is taxable to your business (services performed, or products sold) in the year in which it is realized. 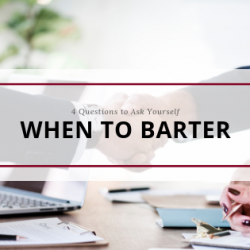 The income from bartering activity is recorded in the same way as other forms of income on the appropriate tax return for your type of business. There are a lot of reasons to join in barter. 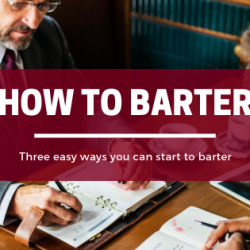 You can use bartering to cut costs with your small business or to lessen personal expenses. If you’re a handyman, you can trade services with a construction supply owner. Each person is still getting paid for their work, in a sense, and it can lead to referrals and cash-carrying customers without costing a penny. 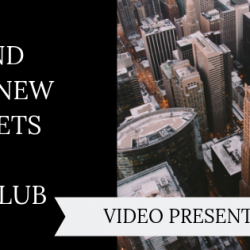 Businesses have been trading services for centuries, and given the unstable economy, many new business owners today are opting for this thrifty way to expand or regenerate their businesses without dipping into cash reserves.